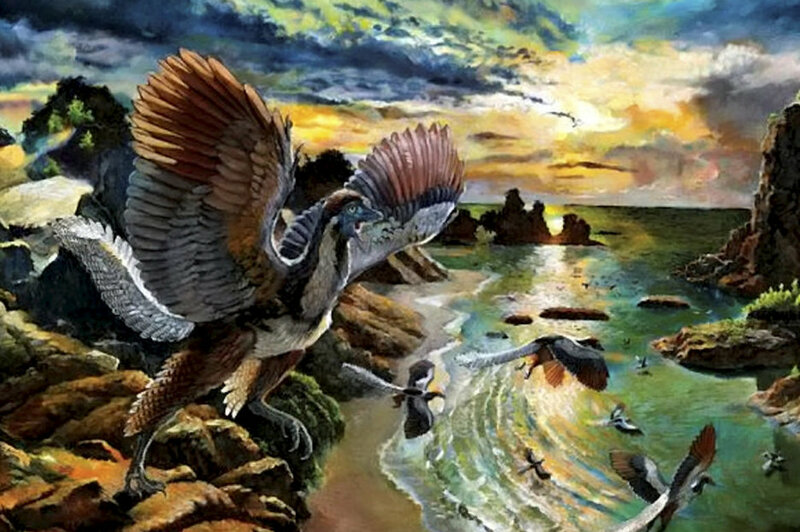 Experts discovered a new species, "Archeopteryx albersdoerferi," which they claim can be considered the primitive ancestor of birds. Lead author Prof. Martin Kundrat of the University of Pavol Jozef Safarik, Slovakia, said: "Archeopteryx albersdoerferi is one of the most important specimens of Archeopteryx, because it is about 400,000 years younger than any other others found so far." This is the first time that numerous bones and teeth of Archeopteryx of all aspects including the exposure of their internal structure. "This was the first time that numerous bones and teeth of Archeopteryx were viewed from all sides." "The use of synchrotron microtomography was the only way to study the heavily compressed specimen with many fragmented bones that were partially or completely hidden in the limestone." It contains most of the skull, along with parts of the shoulders and the left wing. It is wrapped in rocks and crushed. Prof. Kundrat and his team used high-powered X-rays to prove their claims. He added, "We can see every bony preserved, not only that, we can see these bones from the inside."